Mintah came to the orphanage in 2014. At RSH he found a refuge from the streets of Accra where he lived as a homeless child, begging for food and money. Boys like Minta find themselves in very vulnerable situations on the streets, and headed towards lives of crime. Prince Mintah now has a home and family at RSH and attends school every day. 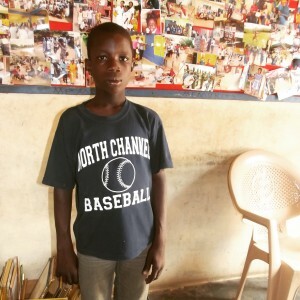 He dreams of becoming a doctor so he can help others. Please keep this bright young man in your prayers.